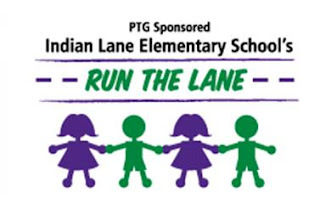 Indian Lane Elementary School’s PTG is organizing its 2nd annual Run The Lane 5K Run/Walk and 1 Mile Fun Run to be held on Saturday, June 4th, 2011. There will be family fun immediately following the events so bring out the family for all to participate. The 5K Run/Walk will start at 9:00 am at Indian Lane Elementary School in Middletown (Delaware County) and take participants on scenic roads around the school. The 1 Mile Fun Run for kids will start at approximately 10:15 am. Proceeds from the event will fund the Normal Kelly Smiles Scholarship Fund Each year, the NK Smiles Scholarship Fund gives 2-3 scholarships to deserving high school students in the local area. Awards will be given in many categories, including the top three overall male and female finishers and the top finisher in 6 age categories. Sign up today! The 1st 200 registrants will be given t-shirts commemorating the day. See www.runtthelane.com for more details and online registration. Race day registration begins at 8:00am.